IF YOU TAKE your dog for a walk at two Co Clare beaches don’t be surprised if you hear a voice in your ear telling you to make sure you pooch doesn’t poo on the sand. Before you poo poo the idea, listen to the vice-chair of the council Tony O’Brien who says that the idea seems to be working. “The devices have been installed since 16 July and early figures suggest that they are already helping to change people’s behaviour. 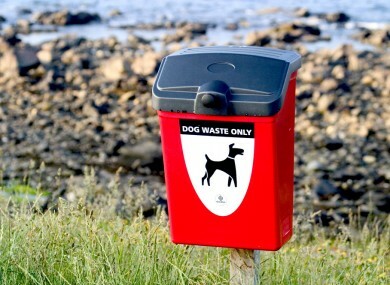 There has been a 50% reduction in dog fouling in Kilkee, while incidences of dog fouling have more than halved in Lahinch,” he reports. Clare County Council take the lead in providing up to date dog stats and says that there were 1,472 dogs at Lahinch beach in just one week last month. Kilkee also proves popular with 1,008 dogs in the same period. But the council digs even deeper, measuring peak times for dog walking in ‘dogs per hour’. Lahinch seems to get the most dog walking action between 7-8pm with 20 dogs per hour. Kilkee owners like to walk dogs a little earlier with a peak 15 dogs per hour between 3-5pm. So there, your completely non-official fact of the day, dog walking is measured in ‘dph’, remember it. Email “Those anti- dog poo messages on beaches in Co Clare are working”. Feedback on “Those anti- dog poo messages on beaches in Co Clare are working”.